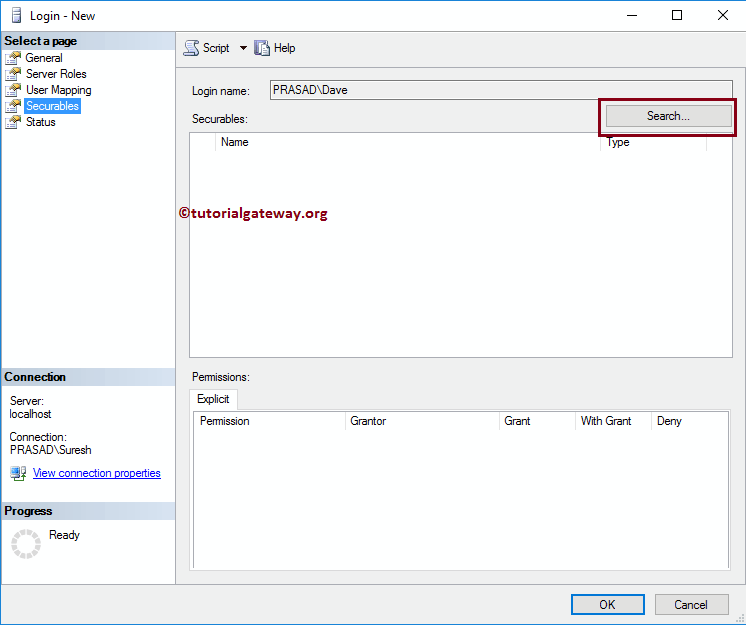 In this article, we will show you the step by step approach to create Windows Login in SQL Server. There are two approaches to create Widows Login authentications: SQL Server Management Studio and Transact SQL query. 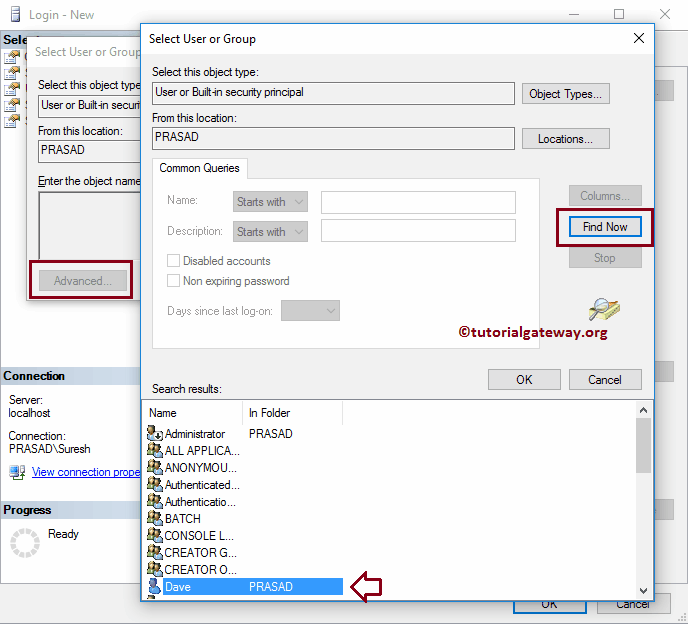 Once you select the New Login.. option,the following window will be opened. 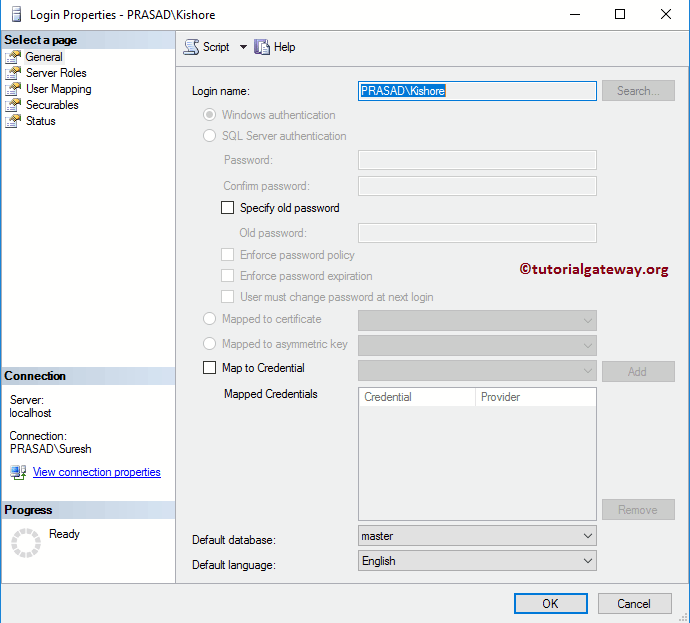 By default, Windows Authentication is selected so, you don’t need to change anything. Login Name: Please select the Windows User. 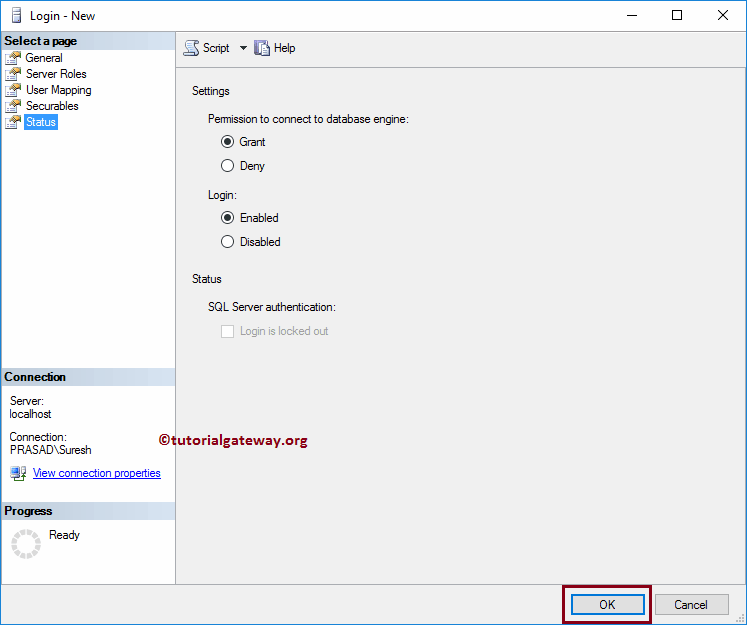 This is the one that you are going to use to login to database Engine. Once you click on the Search button, the following window will be opened. 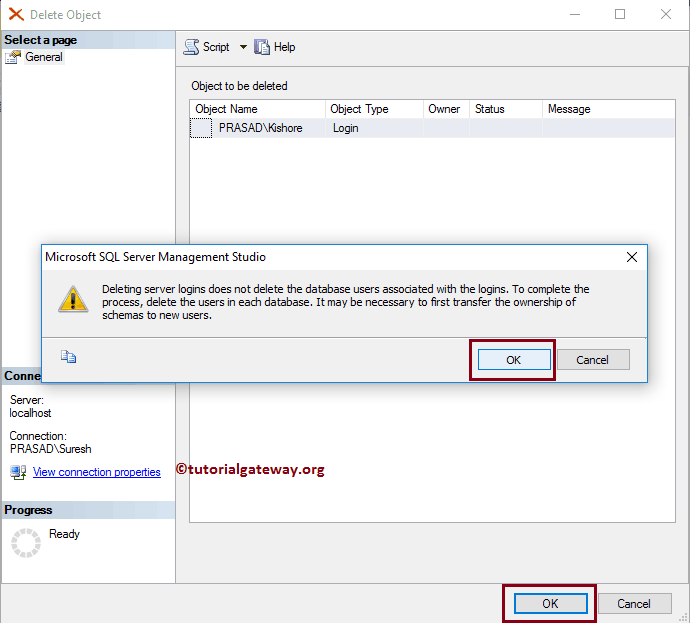 Default Database: Here you have to select default Database that you want to assign to this user. 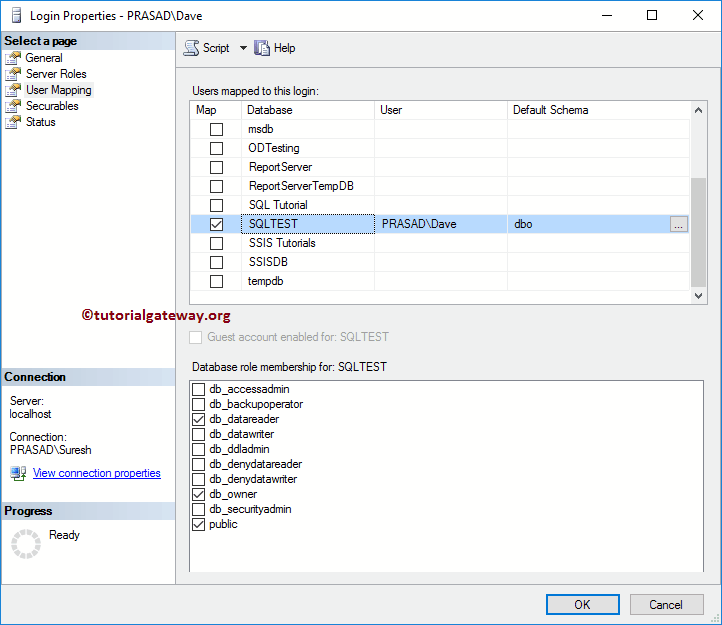 For now, we are selecting the SQL Test database. 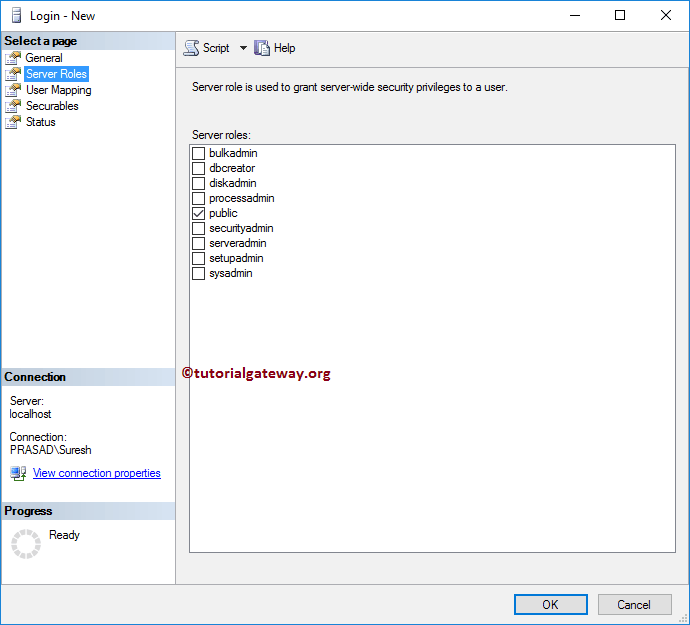 Server Roles: You can use this page to assign the Server Roles to this User. 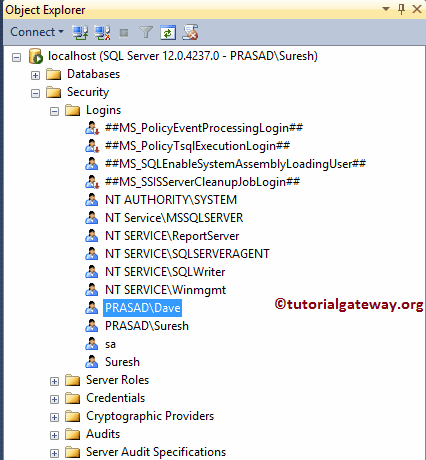 We already explained everything about the Server roles in Create SQL Server Roles. For now, let me select the default Public option. 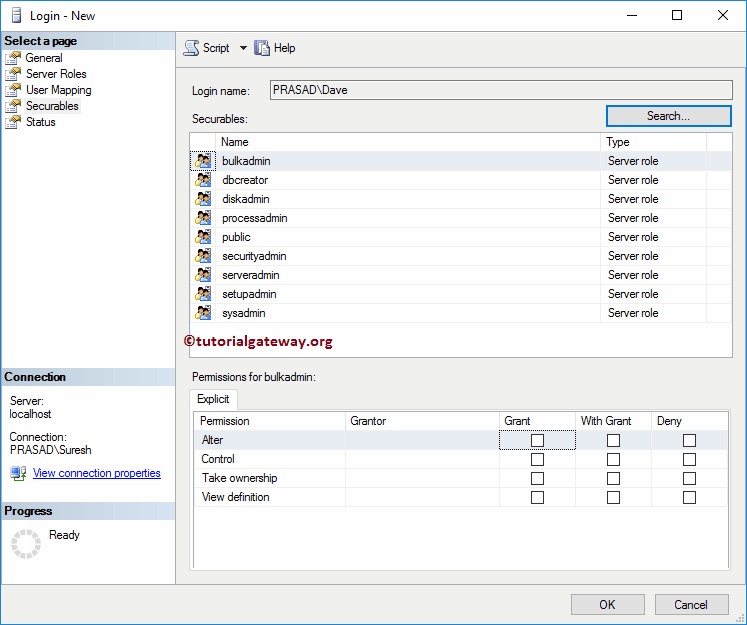 User Mapping: Use this window to select the database, and assign database roles to this User. 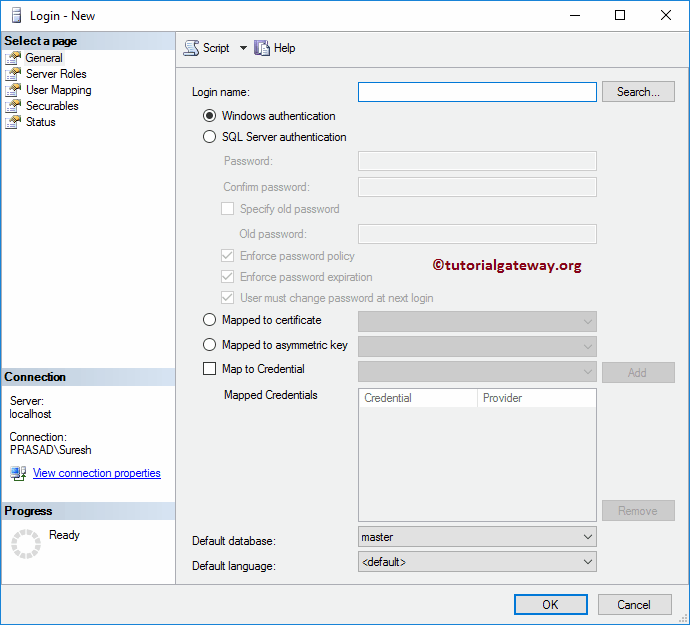 Since we selected the SQL Test as the default database, Login has automatically mapped the user to this database. Again, We will write a dedicated article to explain each individual database role. So, for now, let me select the default Public, db_datareader, and db_Owner option. 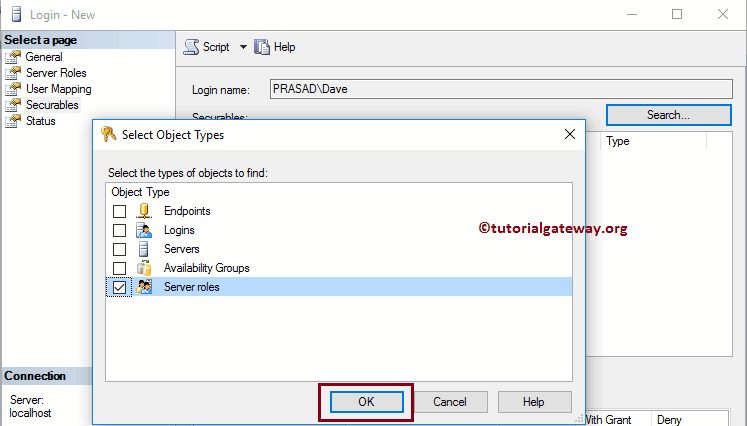 Securables: This window is used to select the Objects. Please click on the Search button to search for Objects. And then we are selecting the Server Roles. It means, this particular server role will control all the server roles. You can select the server role and use the Grant, With Grant, and Deny options to grant permissions, or to deny. For now, we are leaving it without any changes. 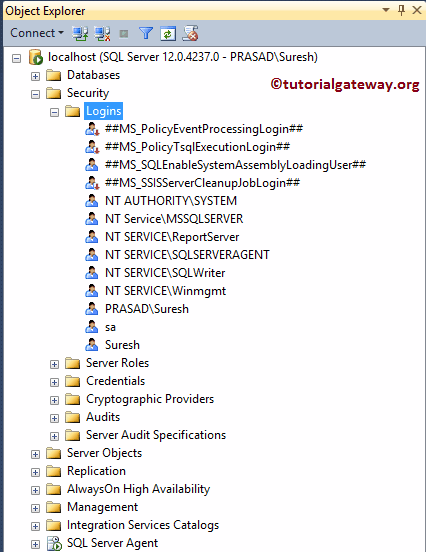 From the below screenshot you can see our newly created widows Login in SQL Server Management Studio. 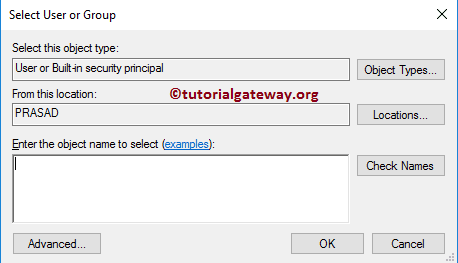 Below code snippet will create a new login Kishore with default settings. 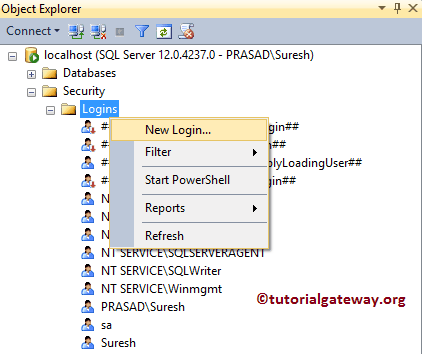 Below code snippet will create a new login PRASAD\Kishore, and his default database is SQL tutorial. 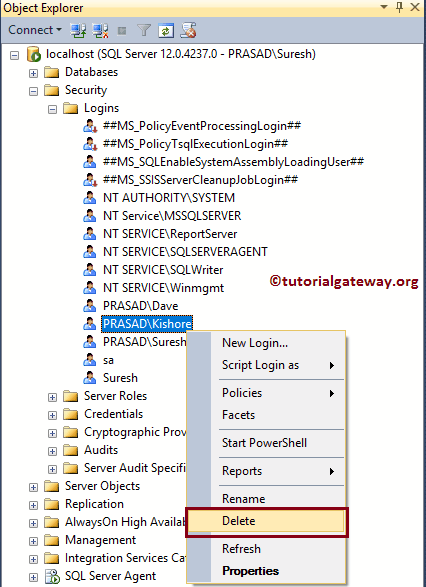 In order to edit the existing widow’s logins, Please go to the Logins folder to select the required Login name. Right-click on the widow’s login name that you want to edit, and select Properties option from the context menu. 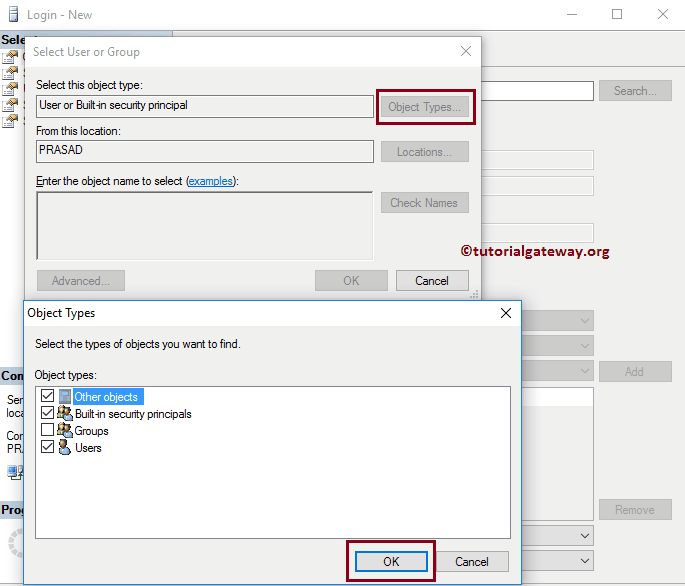 Once you select Properties option, following window will be opened. 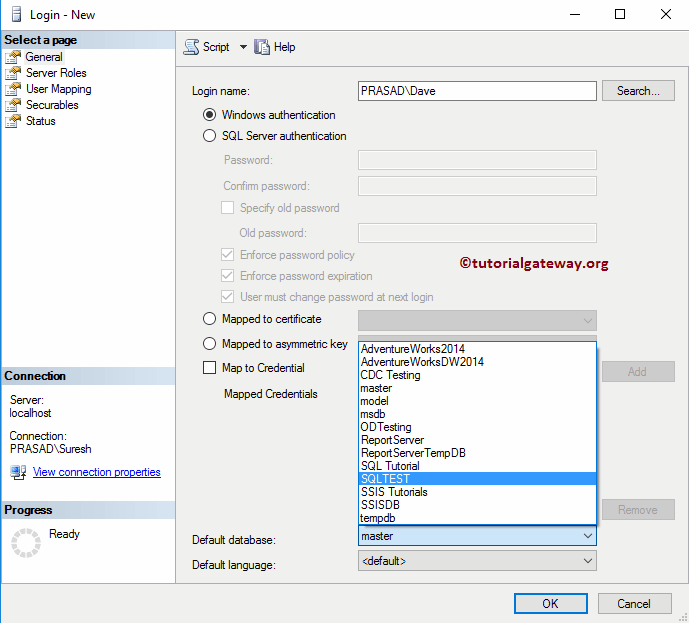 Use this window to alter the Default Language, Server Roles, Default Database, User mappings, Securables and Status. 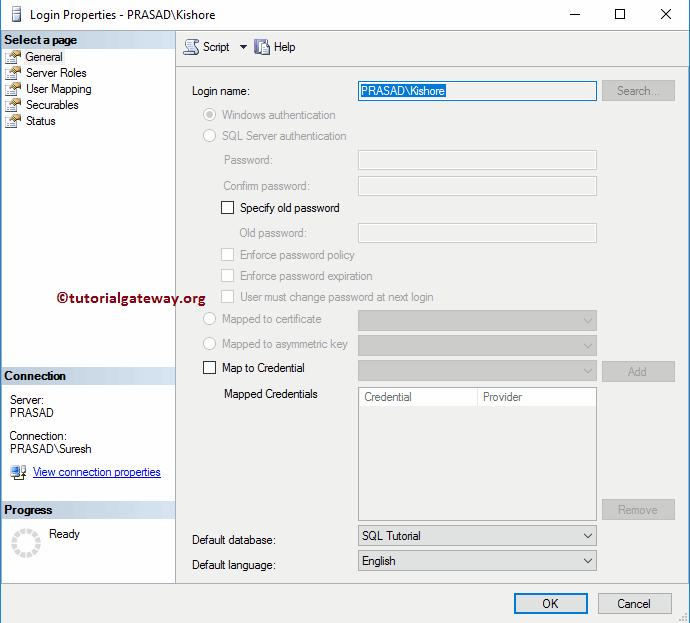 Please expand the Logins folder to select the required windows Login name. 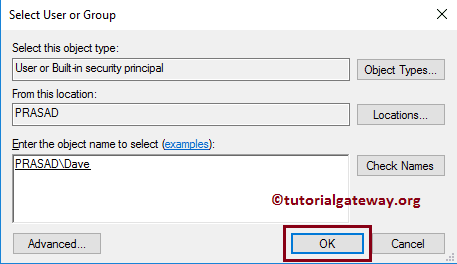 Right-click on the name that you want to delete, and select Delete option from the context menu as we shown below. 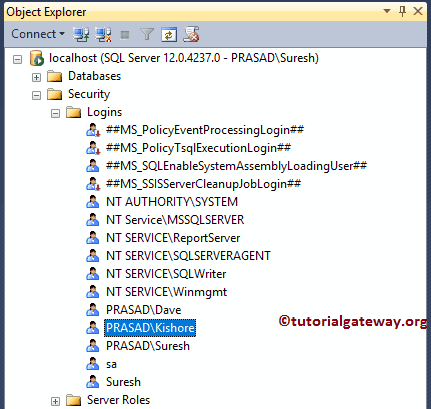 In this example, we will show you the SQL query to delete the windows login.